A Samoan fire dancer using a nifo oti (war knife) lit afire performs a traditional ailao–knife dance–at the Kauai Grand Hyatt Luau. This Fire-knives have been used by Polynesian fire dancers since flame was first added to the knife in 1946 by Letuli Olo Misilag. The ailao dance was a Samoan pre-war ritual preparing warriors for battle. The practice was handed down from generation to generation with each new age added more skill, daring, and complexity. 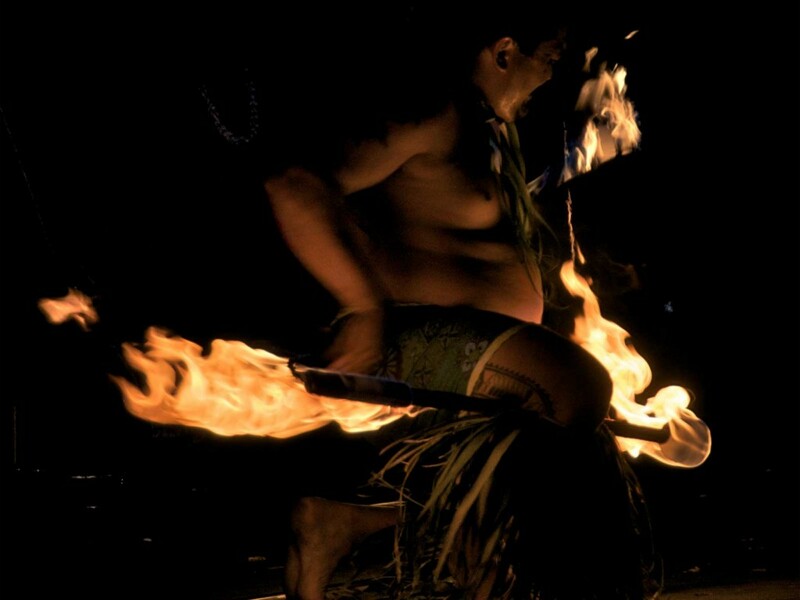 Today fire dancing is a featured part of many Hawaiian and Polynesian luaus. Fire dancing is so exciting that when it is seen in performance, it is almost always the finale. Fire knife dancing has grown dramatically since the 1950’s. 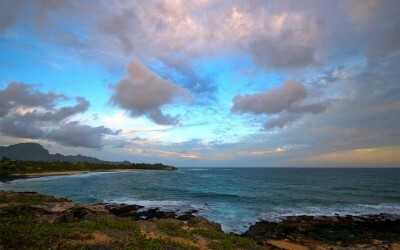 Today there are competitions throughout the Pacific, culminating annually with the World Fire Knife Dance Competition at Oahu’s Polynesian Cultural Center.